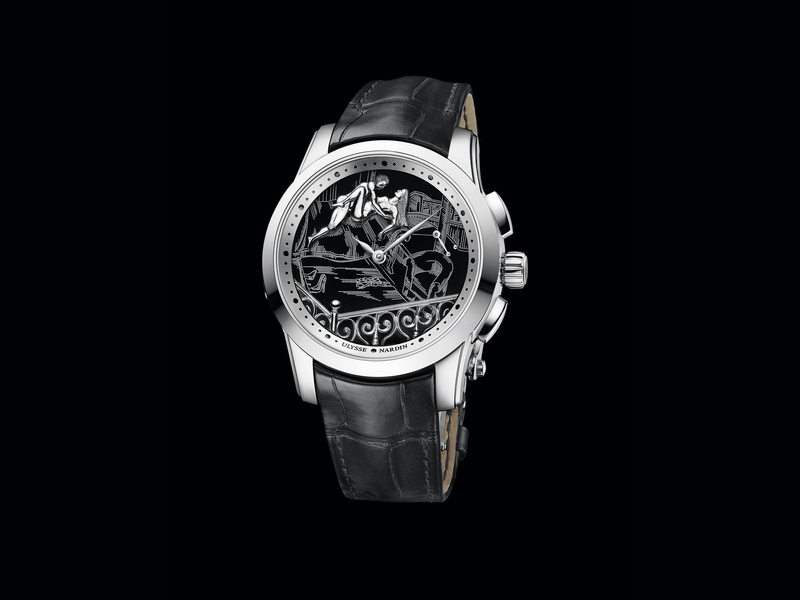 When talented watchmaker Mr. Roger Dubuis decided to launch his own brand in 1995, he sought inspiration in the innovations and techniques pioneered by Swiss watchmakers of the past. 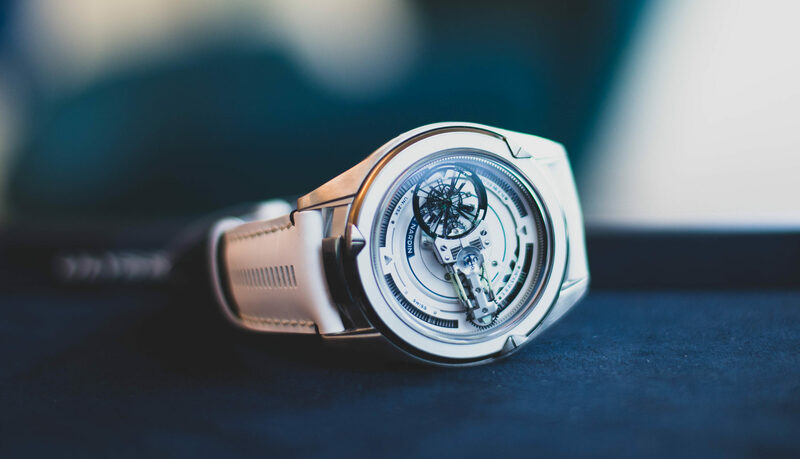 “I decided I wanted to create a watch to thank my teachers, friends and all those who had helped me learn and perfect my art,” shared Dubuis, and so, he created the Hommage—a wristwatch that honored the best of Swiss watchmaking by combining timekeeping perfection with the beauty of the traditional métiers d’art. 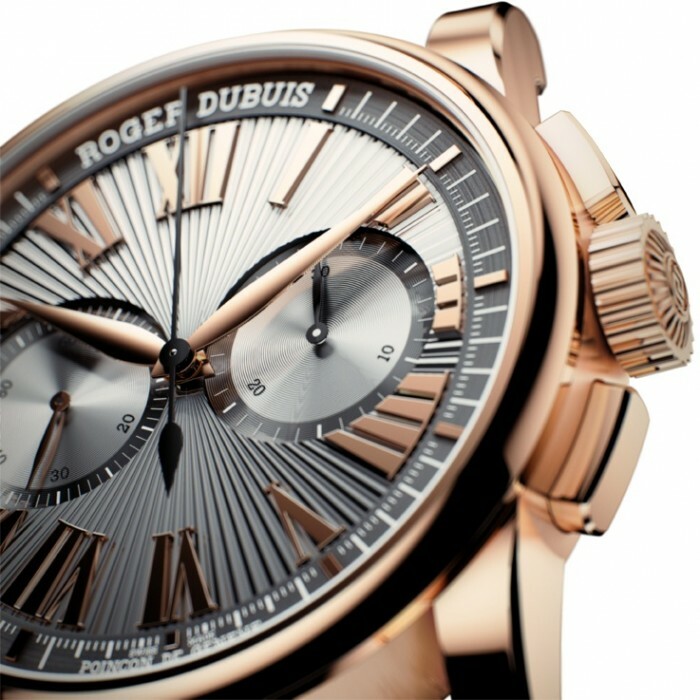 Available in pink or white gold, the new Roger Dubuis Hommage Chronograph is an ode to the art of watchmaking inside and out. 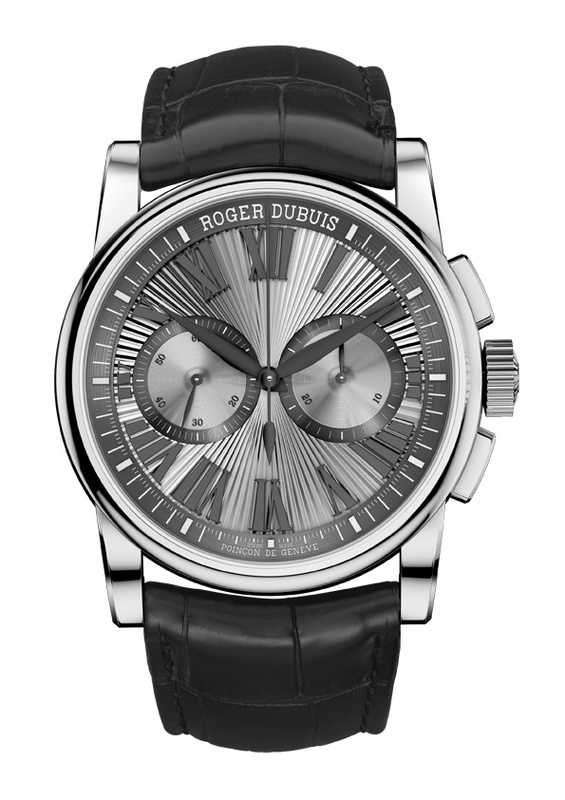 Powered by the RD680 chronograph movement with micro-rotor, the beautiful bridges, springs and levers of the caliber can be contemplated through the sapphire crystal caseback. 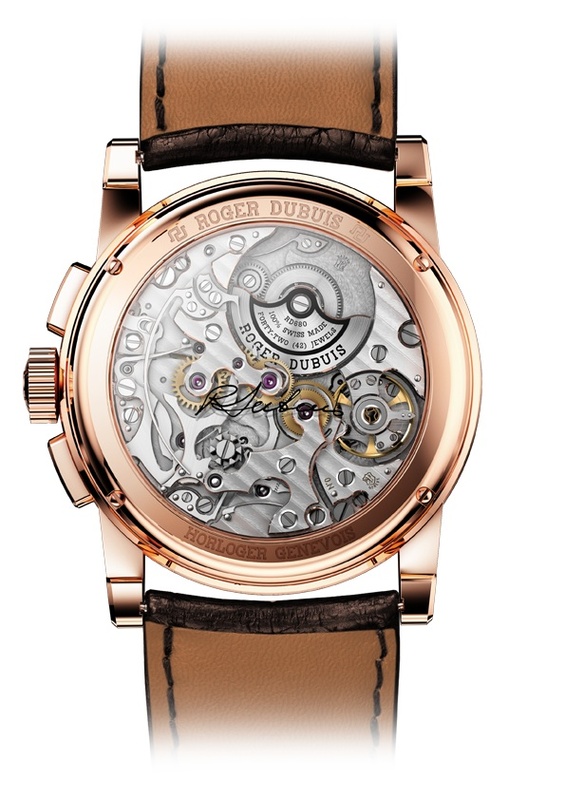 Just as impressive, the movement’s 261 parts have all been finished to the highest standards of the Geneva Seal—a watchmaking certificate of quality that Roger Dubuis respects with all its timepieces. 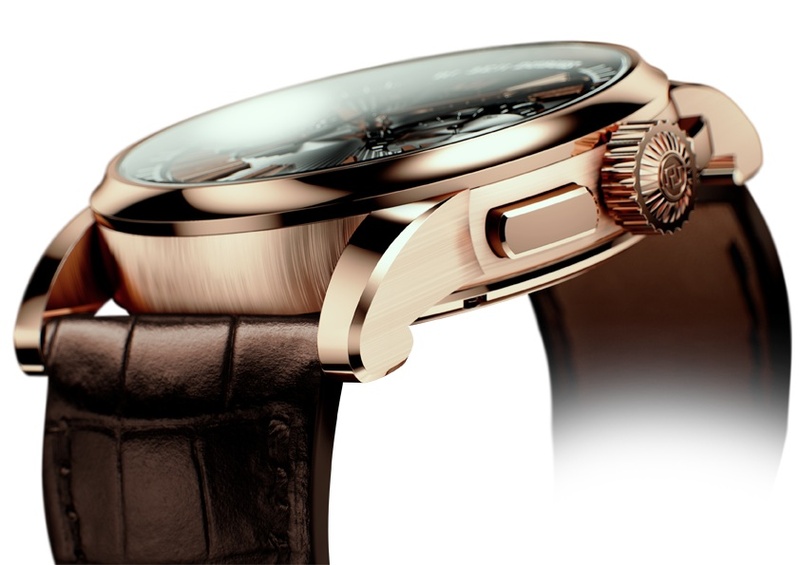 The quest for aesthetic appeal can also be seen on the Hommage Chronograph’s sunray guilloche dial, which gives the wristwatch limitless depth and draws the eye into its shimmering design. 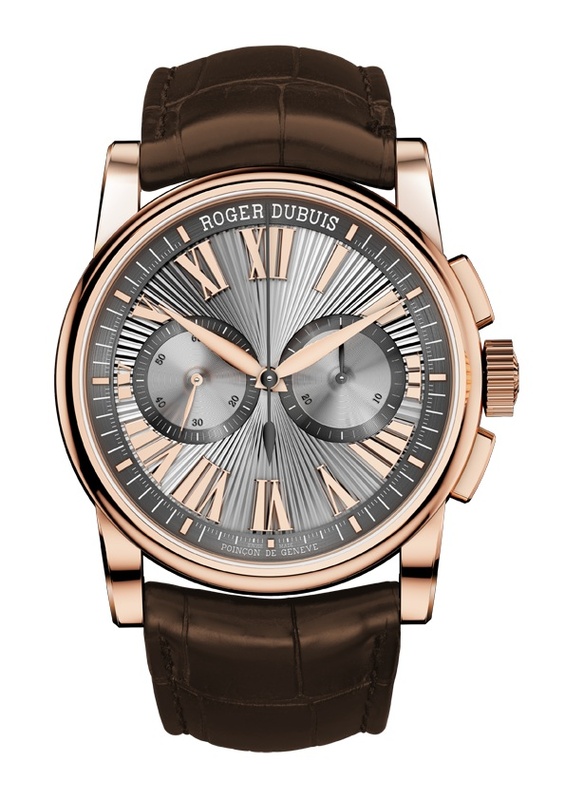 The enlarged Roman numerals stand out in contrast with the flange displaying five-minute markers, while a delicate seconds hand sweeps around the dial. The chronograph counters, featured at both three and nine o’ clock, can be activated by pressing the bold rectangular chronograph pushers on the left-hand side of the case. With its concave bezel and satin polished finishing, it still boasts the original essence of the Hommage from the 1990s; however, the timepiece is much more modern that its predecessor. “What touches me about the new Hommage collection is that it is created by a new generation, while maintaining the same initial spirit of gratitude to our forebears,” shared Dubuis. A blast from the past, the Hommage Chronograph does precisely that—by revisiting centuries-old horological skills with a uniquely contemporary eye to pay tribute to the men and women who gave Swiss watchmaking its highly admired reputation.